Small or home offices looking for a good solution to support their specialty wide-format copying and printing needs will benefit from the Xerox 3030. This monochrome laser device is designated as an engineering copier, meaning it's targeted to fit the needs of engineers. 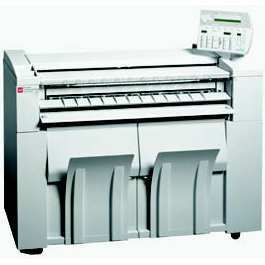 The 3030 can get the first copy out in as fast as 20 seconds and averages a maximum of 15 linear feet per minute. While this unit has an expensive price tag, it offers a specific range of features that can support larger projects such as blueprints, posters and graphic designs. While typical office machines use paper trays to feed and handle media, the 3030 implements a roll feed that can handle a roll of up to 20 feet. The device also comes with a built-in cutter and a stacker so that it can automatically cut a document from the paper roll when it's finished and stack it for easy organization. For the occasion when users need to print on a standard sheet of 8.5x11-inch paper, the unit also comes with a manual bypass option. The device's on-board control is a mixed bag, including a small LCD for updates on job progress, a handful of buttons for tasks such as making multiple copies and an LED that will alert users when Xerox 3030 printer toner needs to be replaced. Due to its bulky size of 57x27x46 inches, users will need to set aside some space for the 3030. 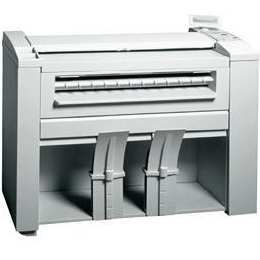 This copier can only create monochrome copies and uses one black Xerox 3030 toner cartridge. Since each Xerox 3030 toner cartridge can print up to 2,400 pages, this device can easily handle offices with low to medium volumes. 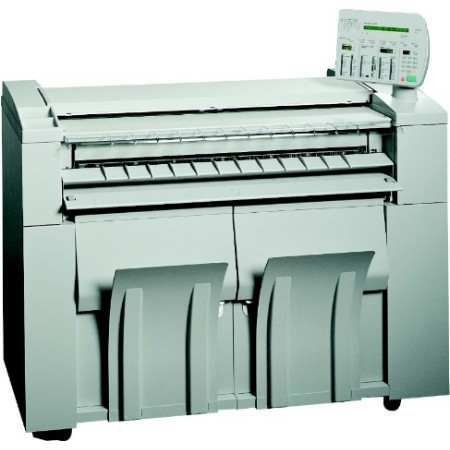 The 3030 is a straightforward wide-format copier that has little other functionality than to handle larger-sized documents for engineers and architects. Thanks to long-lasting toners and its flexible roll feeder, however, this monochrome printer can support frequent daily copying at affordable prices.